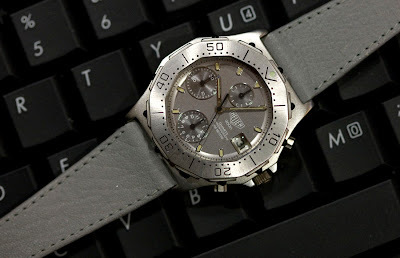 This is my NOS (New Old Stock) Heuer 3000 Chronograph ref 232.206. 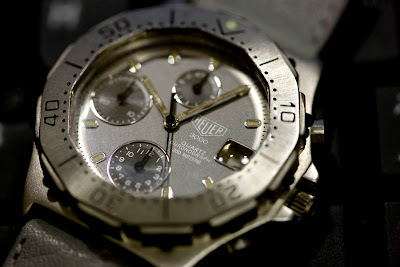 The 3000 series was one of the last Heuer design to be launch. 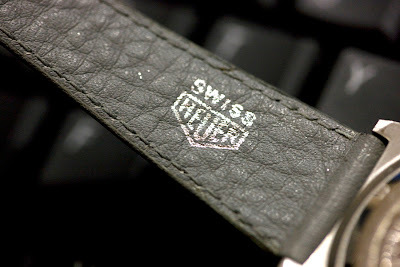 3000 watches can be found with Heuer only, or with Tag Heuer logo. A few have a mix of the two logos. These early quartz chronographs has a rather interesting movement. In the automatic version, the movement is a very high quality 40 jewels unadjusted LWO 283. This is a scarce early transitional model which is an ETA 2892-2 with piggyback Dubois Depraz module. 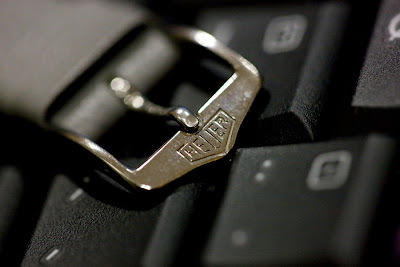 This movement was used in Heuer and Tag Heuer produced from the early 80's and shortly after the start of the Tag-Heuer in 1985. The quartz version has the same mechanical chronograph modul from Dubois Depraz mounted on a ETA 555.112 quartz movement. My watch has the very rare original grey leather strap and buckle. Most of these chronograph was delivered with a bracelet. 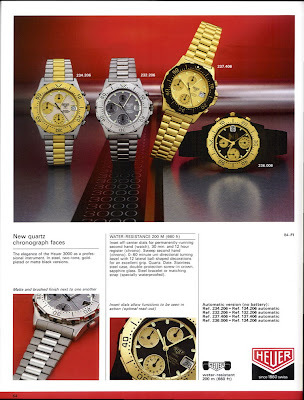 The 3000 chronograph family shown in a 1984 Heuer catalogue. 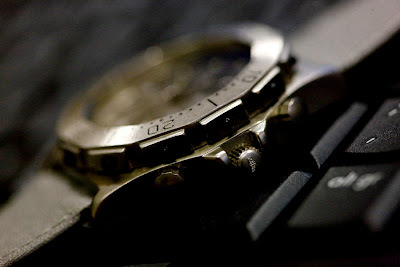 Do you know if there is anywhere I could purchase Heuer 3000 Chronograph just like the one u have? Appreciate u can drop me a line to lifeonafastlane@gmail.com if u or anyone has this to share. Many Tks ! What is the price of the 3000 Chrono as I am looking to buy or at least find one in either two tone or solid SS.